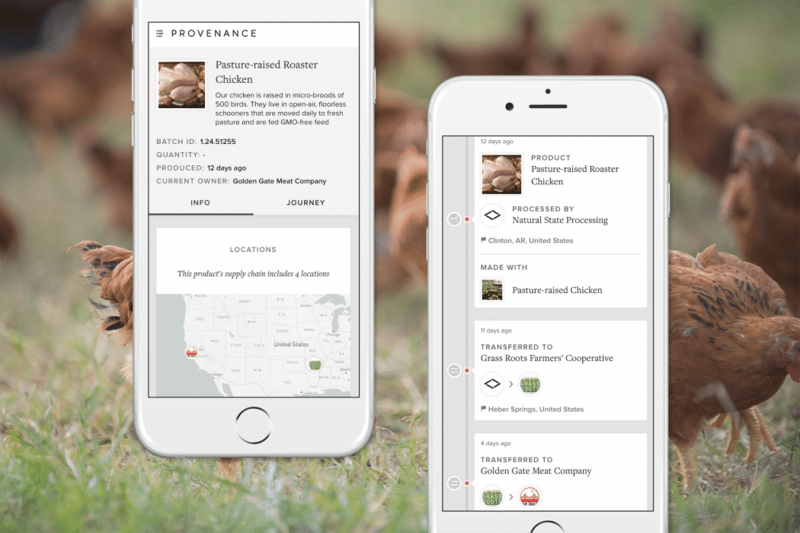 Blockchain isn’t just about finance and Bitcoin, but when Jessi Baker started Provenance that wasn’t the case. That’s why her idea was considered crazy at first. The software company uses technologies like the blockchain to help businesses share truths about the people, places and materials involved in their products. Labelled as one of the UK’s ‘coolest female startup founders’ by Business Insider, self-confessed art-science hybrid Jessi wants to show us why using her “fancy database” is vital. We could become ‘spies for good’, highlighting supply chains that aren’t trustworthy. Radical transparency might even become the norm. We spoke to Jessi about fishy digital passports, the joy of trust and empathy dust, and got her to break down blockchain… no longer a new kid on the block. We face some huge, audacious goals as a planet. We need to solve them if we are not going to wipe ourselves out and the planet that we live in – we’re all going to be responsible for that. I like to talk about myself as a hybrid mainly because I never really fitted in to just one discipline. Coming from an engineering background you quite quickly get pigeonholed into being a developer or working in software products. It’s taken for me to be an entrepreneur in order to be able to span both design and business and creativity as well as coding. Mixing disciplines is really important to solving those huge challenges that we’re facing. Blockchain is getting a lot of hype, but essentially it’s like a global Google Doc. Everyone can see all the revisions, contribute and become the owner of the doc. Data is shared in a trustworthy format that’s accessible to everyone, with no one centralised authority being in charge of all the changes. What’s cool is that it’s impossible to change. Nobody can sneak in and change a record as there’s no copy-paste function. In today’s internet protocol you can change and share things all over the web without anyone being able to stop you. With the blockchain you can prevent that. 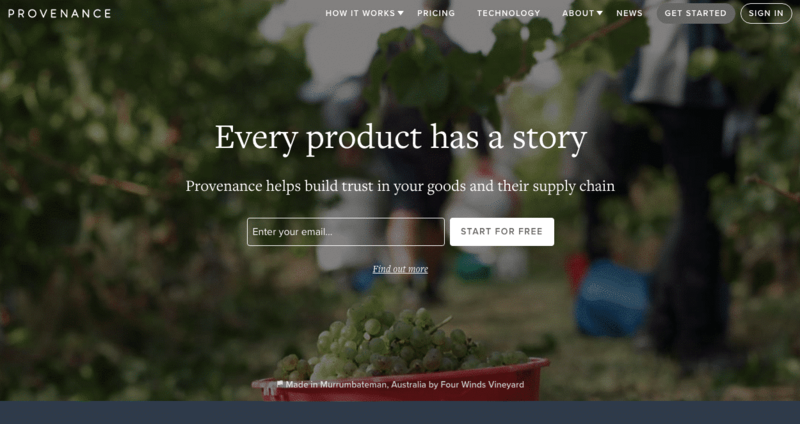 Provenance is about the journey and the story behind products. Lots of people care about their values, rather than just price and advertising. That movement is called ‘conscious consumption’ or the ‘transparency movement’ and we are very much aligned with that. There’s a lot of pessimism around whether the consumer really cares. I think that people need a door to walk through, hence the success of fair trade in the eighties and still today. Some people are hugely passionate about animal welfare, the environment or slavery. We’d all like to buy the perfect thing, but I don’t think there’s any problem with having a more personal agenda in your purchasing. 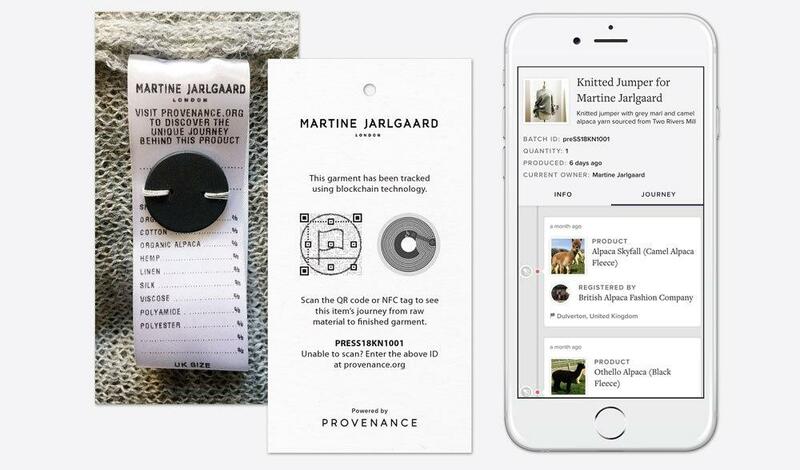 Creating digital passports is the heart of what Provenance does. 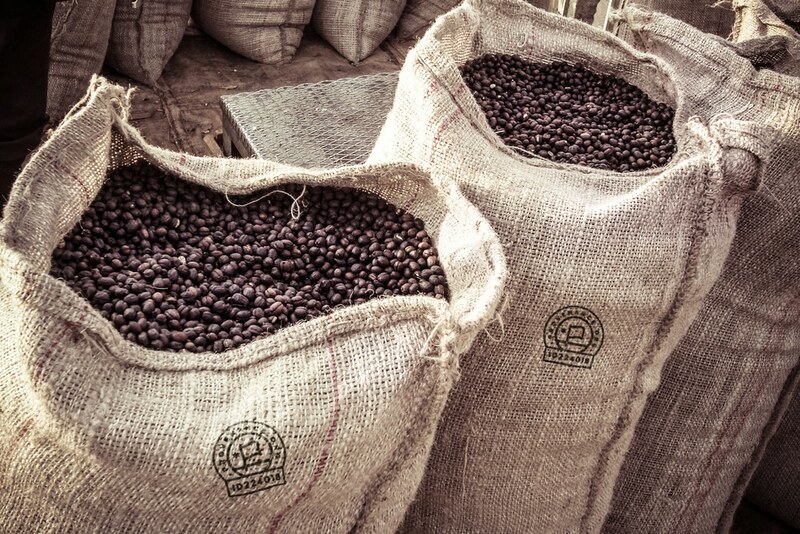 We work with brands, retailers and in partnership with NGOs and others up the supply chain so that products’ passports can exchanged down the chain in a ‘decentralised’ – not top-down – format. We did a pilot in the fishing industry in Indonesia that became quite famous. It was probably the first real example of a blockchain being used in a supply chain on a significant scale and one of the first really good examples of how to use ‘smart contracts’ – a programme that sits inside a blockchain that creates rules. It was a defining moment for us. We created a virtual version of a fish and tracked it from yellowfin tuna to sashimi. 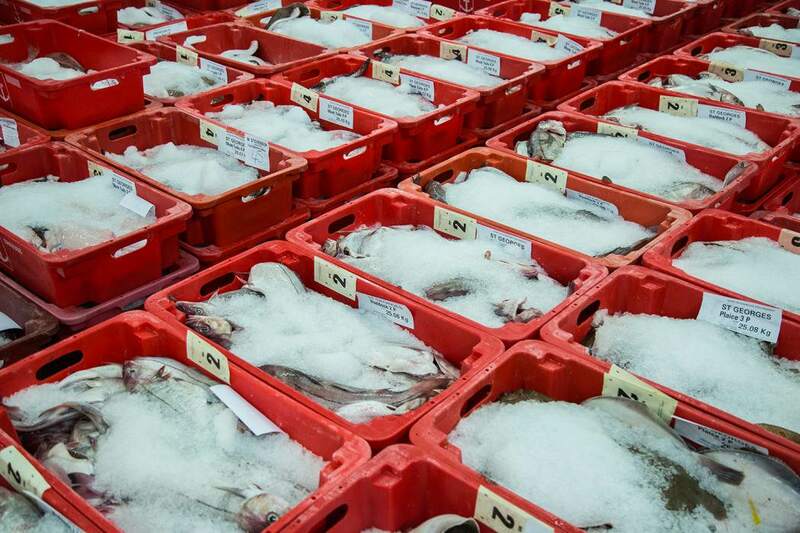 The end-to-end provenance was tracked from fisherman to factory to beyond. We made it possible to check whether claims about tuna being sold in local markets were true. All the sellers wanted to say that their fish came from this one, very responsible fishery! One ‘fish token’, created with a simple SMS, represented one tuna and all the verified claims associated with that fish – the fact that it was slave free, the fisherman had received fair payment and that it was caught in an environmentally responsible way. A scan of a QR code creates a digital handshake. There is no need for an all-seeing eye! 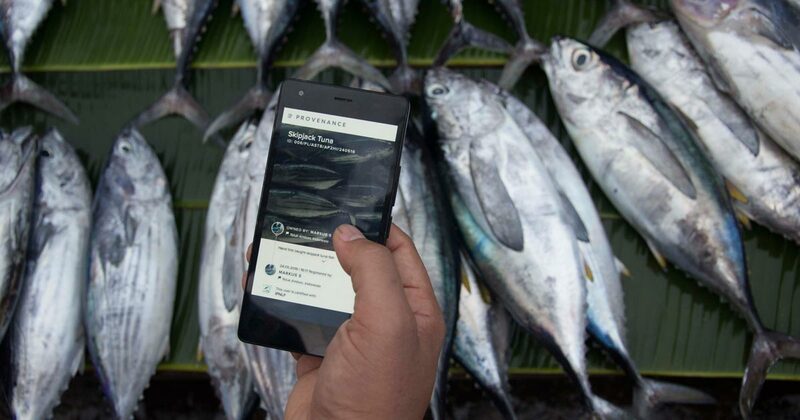 Essentially we created a peer-to-peer, decentralised way of tracking fish digitally. We want to empower the individual. We are trying to make supply chains more decentralised and to pioneer the public side of what this could be (rather than using private blockchains to allow big companies to control data more). It’s about making sure that the decisions as to how data is brokered between each other is decided by the many and not by the few. We place a huge amount of trust in individual organisations like Facebook, a bank or even the government. Putting so much trust in a small number of organisations could be dangerous for humankind. We should look back to the nineties and the beginning of the Internet. Some of the principles that were set up about sharing data and collaborating on information could be applied to the sustainability industry at the moment. The big winners will be… businesses that embrace responsible supply chains and transparency from the get go, rather than having it be a crazy afterthought. This means being proactive in finding out where your products come from and making an effort to use technology in order to understand and mitigate those risks now rather than wait. The transparency movement is being attacked from lots of different areas. It’s not just blockchain and supply chain, it’s also about consumers and the press taking a more active role. I think it will be a confluence of trends that means this becomes of paramount importance. I am really behind business models such as renting and sharing economy models – particularly when it comes to local products and community sharing. A circular model will become a far more efficient way to create products that are very high value. The sustainability movement could learn a lot from the open source software movement. It’s exciting seeing just quite how much of an amazing role data, shared data and collaboration could play in the future of sustainability. And how much this hasn’t been tapped into yet. Education should be more interdisciplinary. We should all feel free to embrace being a mixture of things. I have always had a personal drive to fix things and make things better. I am really interested in how things are made and want to find a new way to make them work more efficiently. I guess being an engineer you get that. 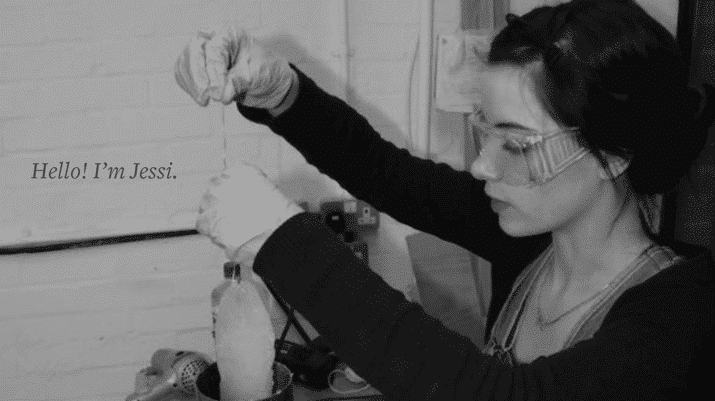 My passion is about trying to push humanity forward. Turning Provenance from a project into a software business has been a bit like a computer game. Every level unlocks a whole other new level you didn’t even know existed. A startup is an exciting challenge, but you feel like you’re making the parachute as you‘re falling out the plane. Fingers crossed I make it in time! I am glad I was naive enough to kind of embark on this journey. It’s amazing when you get a small group of people that all care about a problem together to try and tackle it, the dent you can make in the problem – with some software engineers and some spare time. I draw a lot of my hope from the wider team at Provenance. We’ve all decided that technology could save us. Can we try and design it and create a scalable system that empowers ‘good’ change in our particular area? One thing I am really excited about is… that as data exponentially increases and we start to use technologies like blockchain that could be an amazing catalyst in cross-border collaboration in trying to achieve what seems the impossible goal of reversing something like climate change. I don’t think of myself as a ‘female founder’. I just happened to start this and it’s who I am. However, we do need to create more role models in the industry. We are all as good as each other, and it’s great to help people find others they identify with to inspire them. The startup world was set up and optimised by men for what they want. I saw that most through the fundraising process. There’s a particular mentality that I find quite male-orientated. Some conscious reflection on that would be useful. I try to be part of the solution by helping others. More female investors, women founders, would be systemically helpful. We do go out of our way to hire for diversity. We’re right at the foothills of a humongous mountain. We have a long way to go, but we have the courage to say that problems can be solved in a different way and it’s causing some noise. My FuturePower would be empathy dust – to end war and make everyone care about everyone. Watch ► Jessi Baker at our AtlasEvent: Fixing the future. Listen ► “I buy all my bacon on the Dark Web!” Join the Atlas Futurenauts – top selling author and futurist Mark Stevenson and leading sustainability expert Ed Gillespie – as they ponder provenance and the wonders of the blockchain with Jessi Baker.